When it comes to digitization -wheather Log or Map OFI has professionals who understand the complexities of petroleum industry. The output is provided on Floppy Disk, Magnetic Tapes or on paper on any Scale & Width. 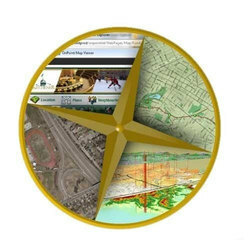 Due to our expertise of this industry, our firm is engaged in rendering Maps Digitization Work. These services are accomplished by industry competent professionals, who have prosperous understanding of this realm. Furthermore, we render this service at nominal prices. VISIONS GRAPHICS array of capabilities provide the map Geoprocessing solutions starting from Scanning, digitizing to Georeferancing Overlays. - Digitizing all paper maps such as base maps, shot point maps, structure contour maps etc. ART Infosystems has the technology to perform fully automatic vectorization and interactive line tracing from scanned maps and drawings. When it comes to digitization -wheather Log or MapOFIhas professionals who understand the complexities of petroleum industry. The output is provided on Floppy Disk, Magnetic Tapes or on paper on any Scale & Width. On call GIS Demo facility. EEIPL has a dedicated resource center for Geospatial services at Chennai, India. Qualified personnel have hands-on experience not only in design and creation of Geospatial databases but also in developing and deploying complete distributed solutions over the departmental network or the Internet.